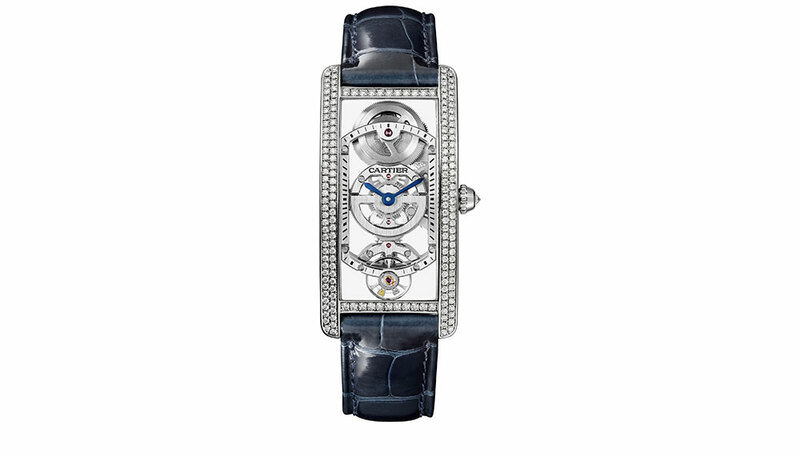 Celebrating its centenary this year, the Cartier Tank is a watch of many faces. Said to be inspired by a military tank, it has been redesigned numerous times but each new rendition loyally retains the watch’s classic hallmarks: the Roman numerals, blue steel hands, sapphire cabochon crown and most importantly, the two brancards on the side of the case. To mark the 100th anniversary, Cartier went back to the 1920s for this Tank Cintree Squelette. While the Cartier Tank is known for ramrod straight brancards that double up as lugs, Cartier has produced variations with a curved profile so that they’re more comfortable on the wrist, especially with an enlarged or elongated case. 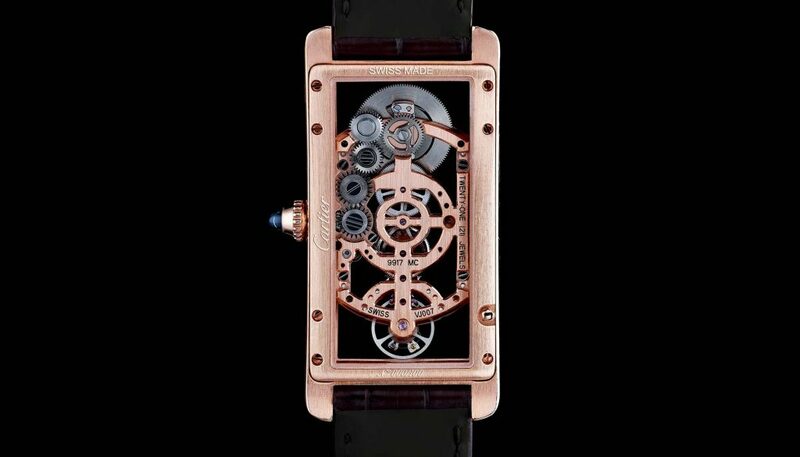 The Tank Cintree Squelette combines a curved profile with a skeletonised movement sandwiched between two pieces of sapphire crystal, also curved. 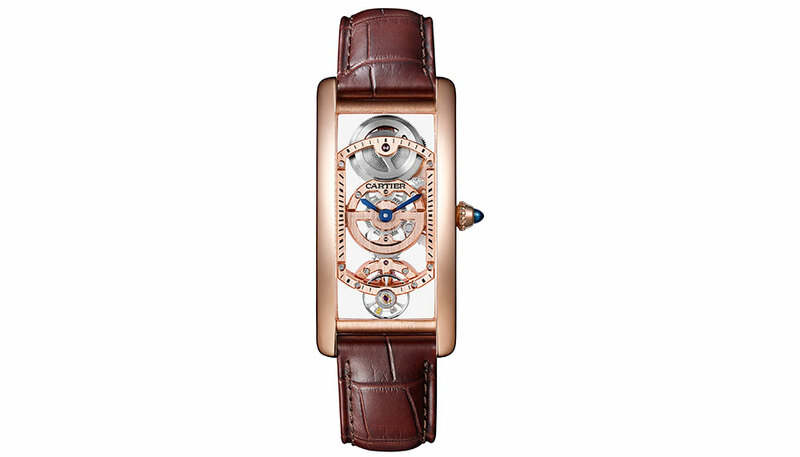 This model boldly eschews the classic Roman numerals, offering instead a baguette-style open-worked movement created exclusively for this timepiece, which is available in pink gold and platinum.